In August, 2013, SDP Partners LLC participated in an ultimately successful transaction to help a seller unload some condo investments that had gone bad. 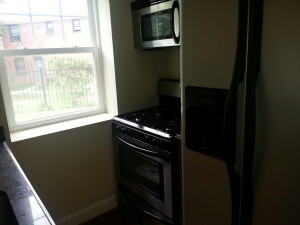 The tax lien had been sold and the redemption period was coming up on a portfolio of condos in SE Washington DC. A business partner successfully put the entire portfolio under contract from the seller. However, the title was so messed up it took lots of extra hours to sort it out. Within a month, the transaction finally closed before the redemption period transferred title to the tax certificate investor. The back taxes were paid off. The home owners association dues were brought current. We were successful in locating another investor who stepped in towards the end to take these condos into their rental portfolio as income producing properties. The seller solved his house problem. Another investor got performing condos into their investment portfolio. We made a small fee out of putting the two together. The only people not entirely happy were the tax certificate investors who were days short of getting the deeds to condos for the price of the back taxes, but such is life.